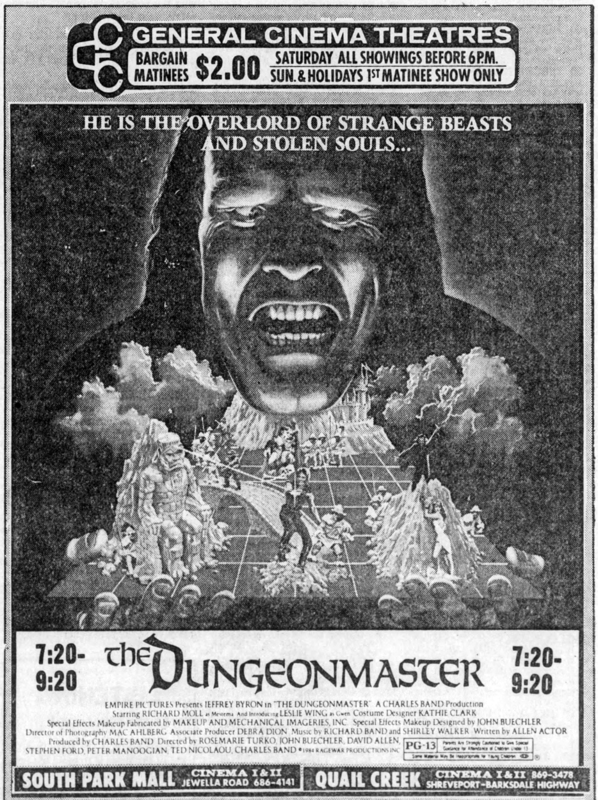 Filmed under the title RAGEWAR by seven directors (including visual effects master David Allen, makeup and special effects artist John Buechler and producer Charles Band), the episodic fantasy adventure DIGITAL KNIGHTS opened in Newport News, VA on August 24th, 1984. 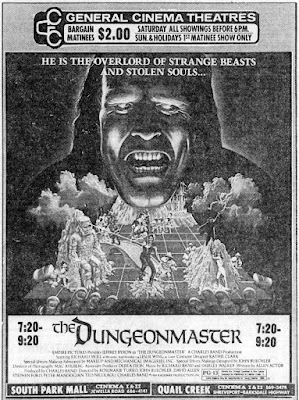 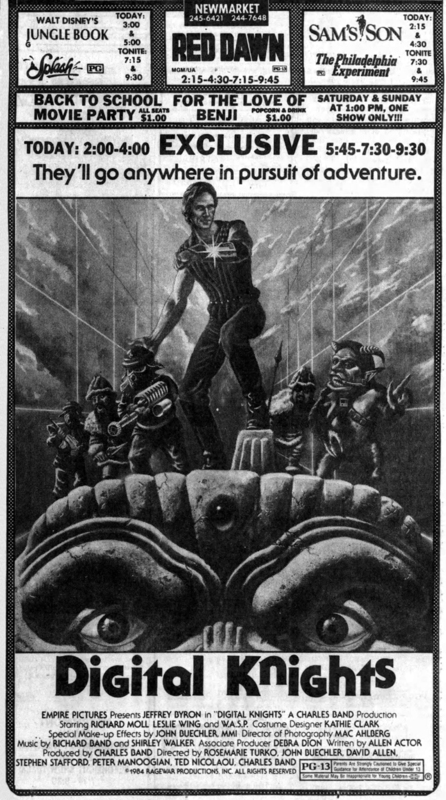 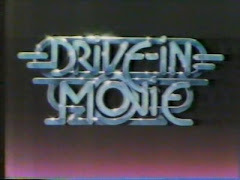 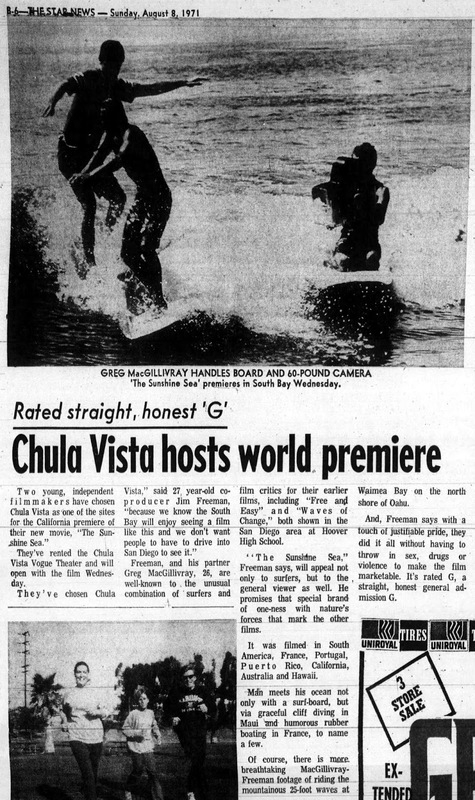 Five months later (January 18th, 1985) the film opened in Shreveport, LA and other cities as THE DUNGEONMASTER with a different campaign sometimes featuring the disclaimer "This motion picture is not related in any manner to the TSR, Inc., game entitled 'Dungeons & Dragons' or any characters contained therein." 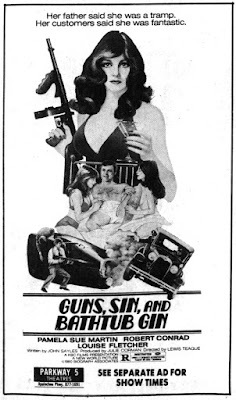 The Bobby A. Suarez action flick HIT MAN, co-written by Suarez and Ken Metcalfe (WARRIORS OF THE APOCALYPSE) and starring Chris Mitchum and John Phillip Law, opened in Fort Lauderdale, FL on November 15th, 1985. 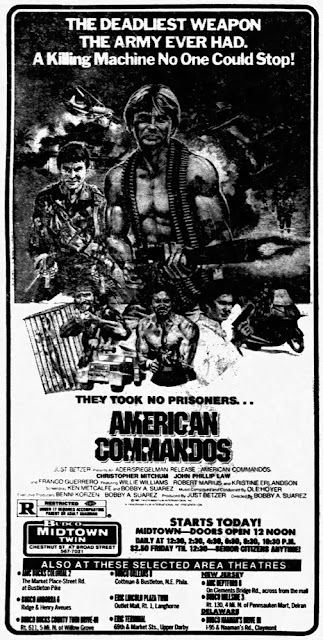 Six months later (May 2nd, 1986) the movie arrived in Philadelphia as AMERICAN COMMANDOS, the title it retained for cable showings and home video. 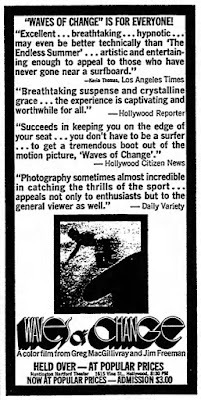 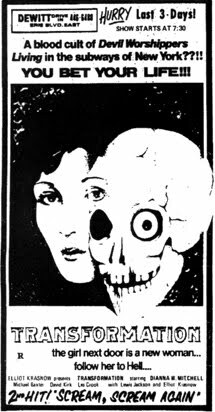 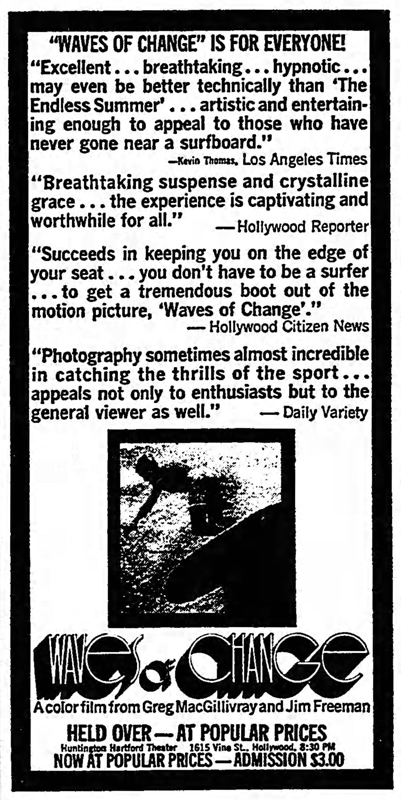 The first of two disappointing collaborations between author Clive Barker and director George Pavlou, UNDERWORLD opened in eight theaters in Phoenix, AZ on April 18, 1986 (The ad above is from its second week). 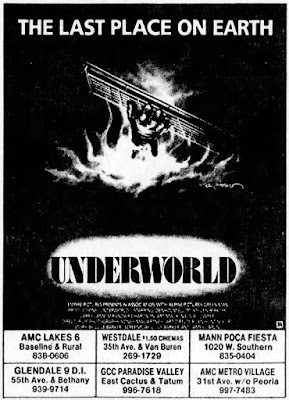 Both UNDERWORLD and the second Barker-Pavlou team-up, RAWHEAD REX, were released by Empire Pictures. 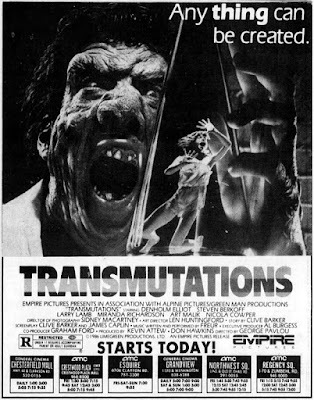 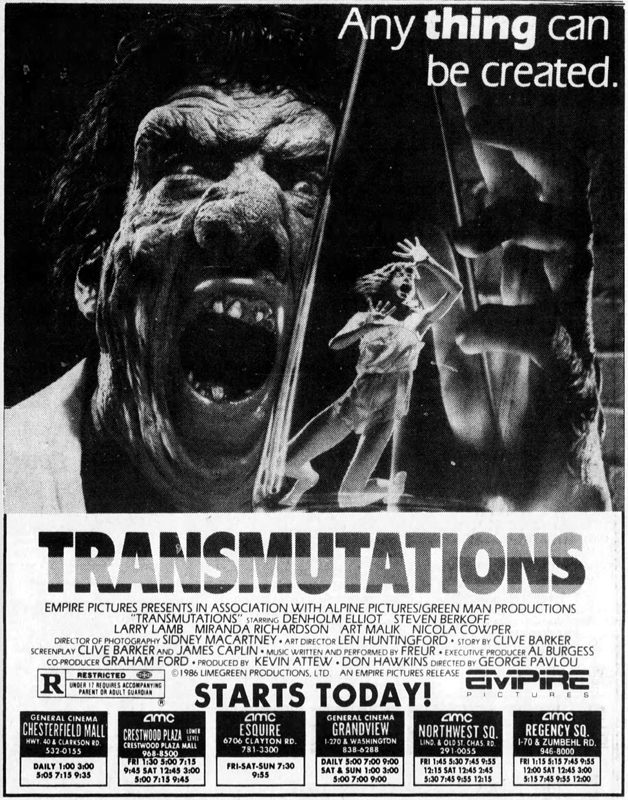 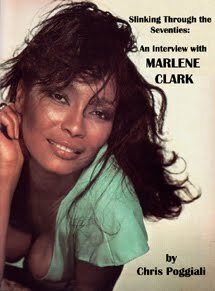 Nine months later the movie surfaced in St. Louis, MO on January 23, 1987 as TRANSMUTATIONS with a different ad campaign. 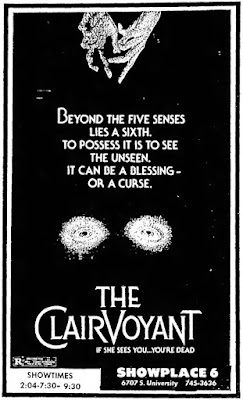 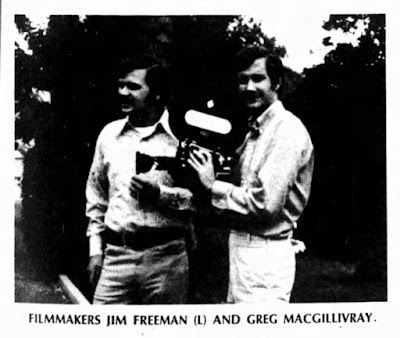 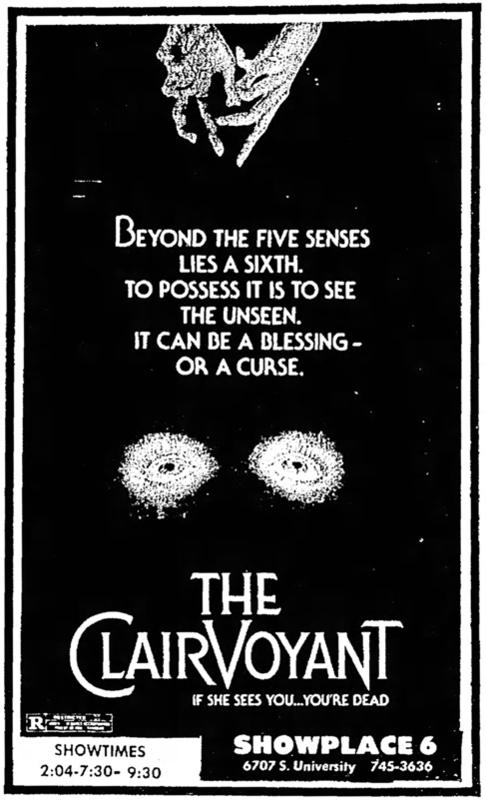 Armand Mastroianni's supernatural killer-thriller THE CLAIRVOYANT -- starring Perry King and familiar faces Kenneth McMillan, Jon Polito and Joe Morton -- opened in Lubbock, TX on August 12, 1983 through Jensen Farley Pictures. 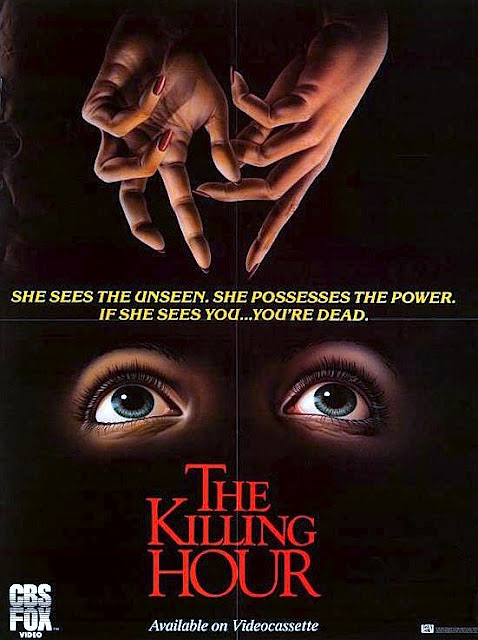 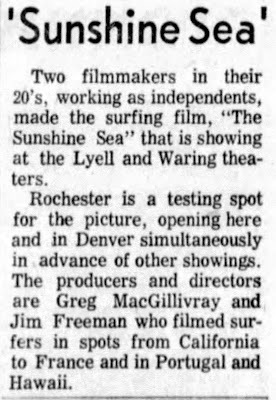 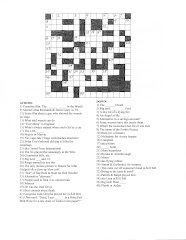 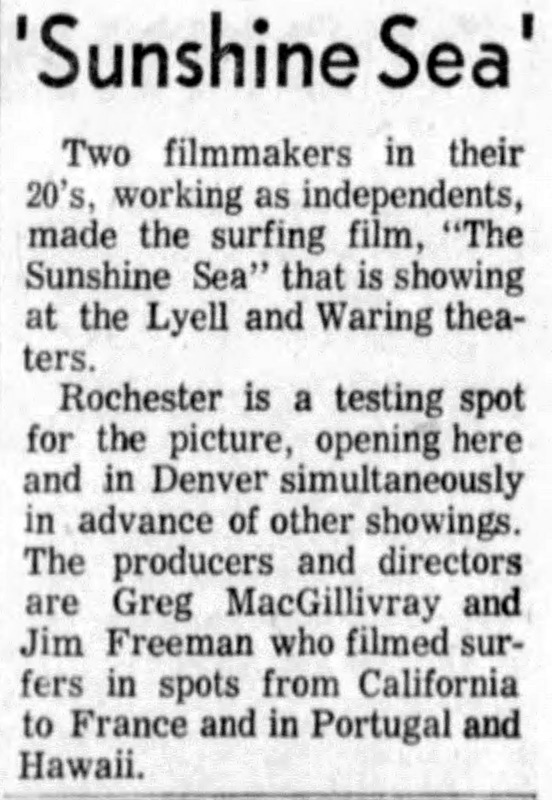 The film was then sold to 20th Century Fox, which contemplated a second theatrical release before sending it to CBS Fox Video as THE KILLING HOUR in 1985. A New World Pictures release from the same creative team that would make ALLIGATOR the following year (screenwriter John Sayles and director Lewis Teague), THE LADY IN RED tells the story of bank robber John Dillinger's final girlfriend, Polly Franklin, starring Pamela Sue Martin as Franklin, Robert Conrad as Dillinger, Louise Fletcher as Anna Sage (a.k.a. 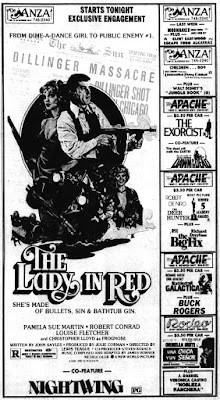 The Lady in Red), and Alan Vint as Melvin Purvis. 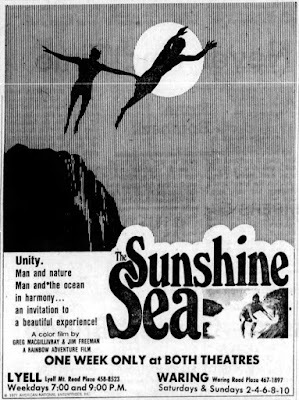 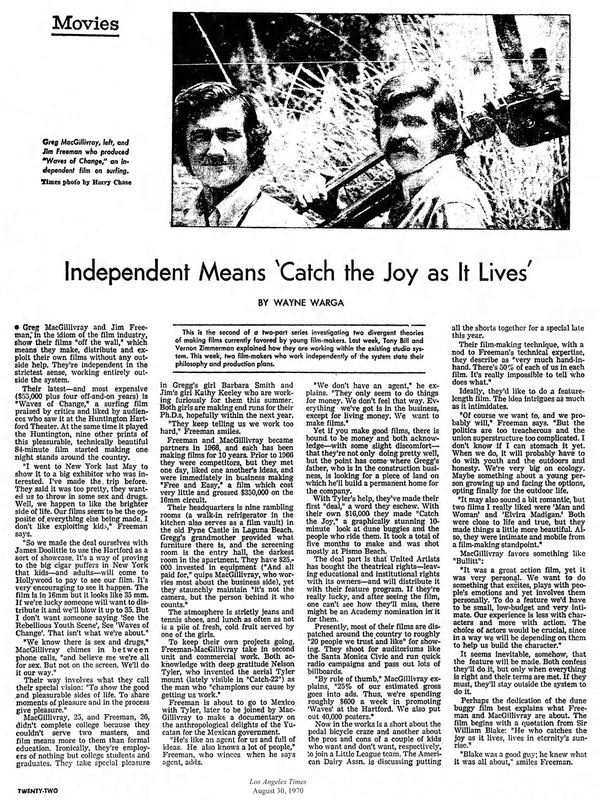 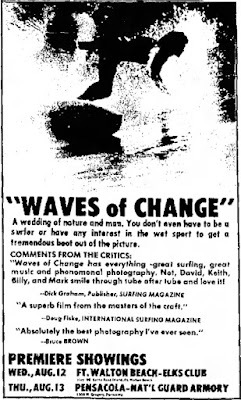 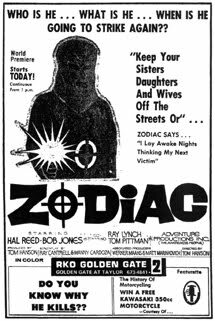 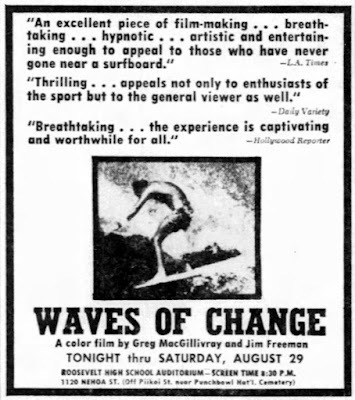 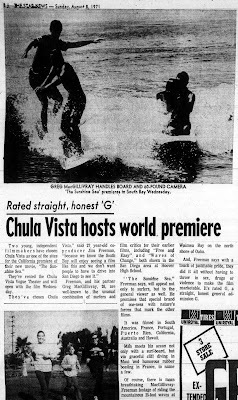 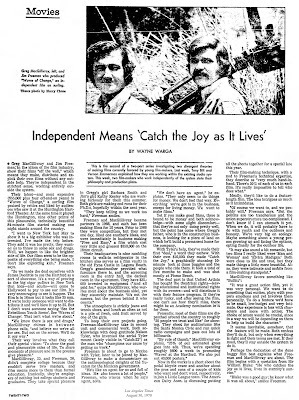 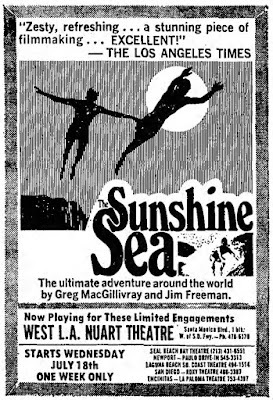 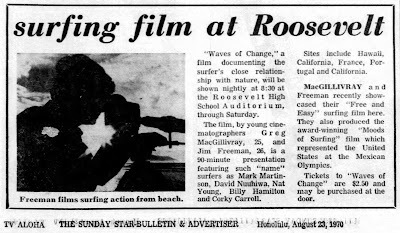 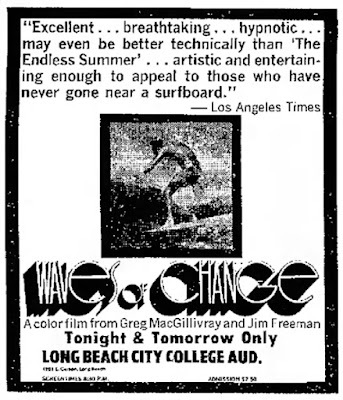 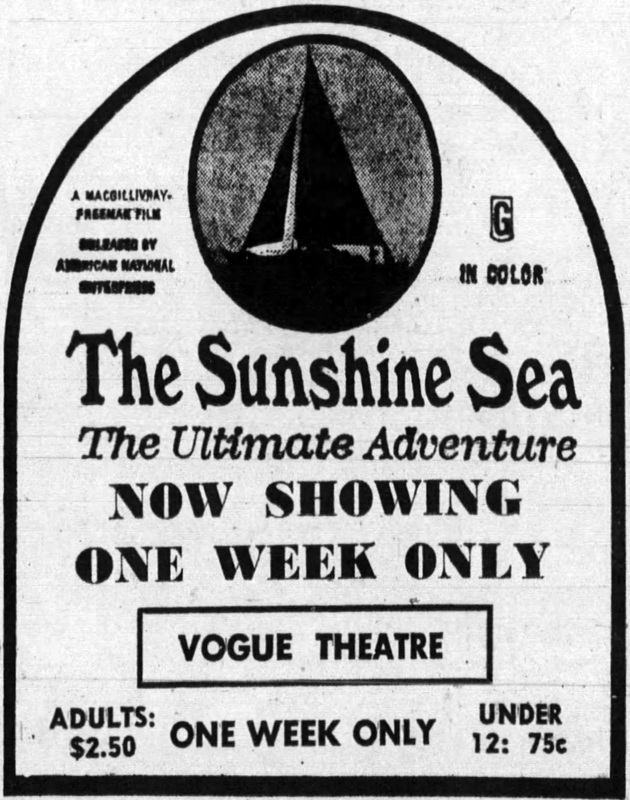 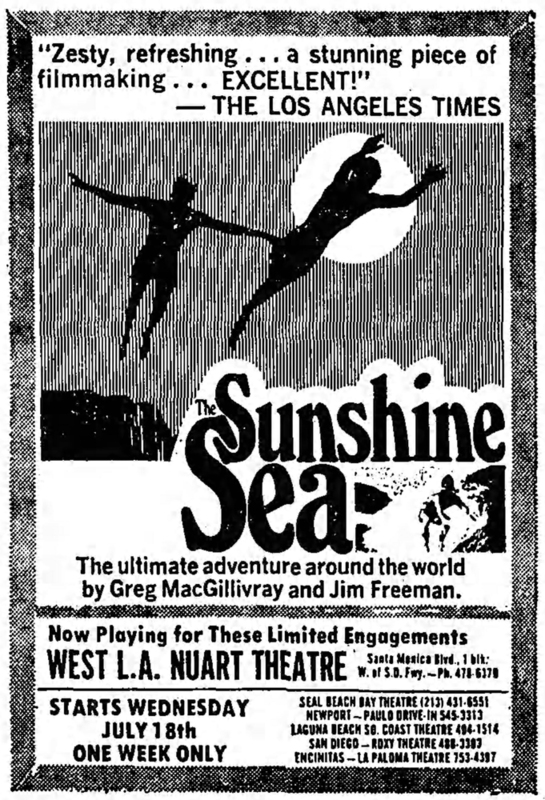 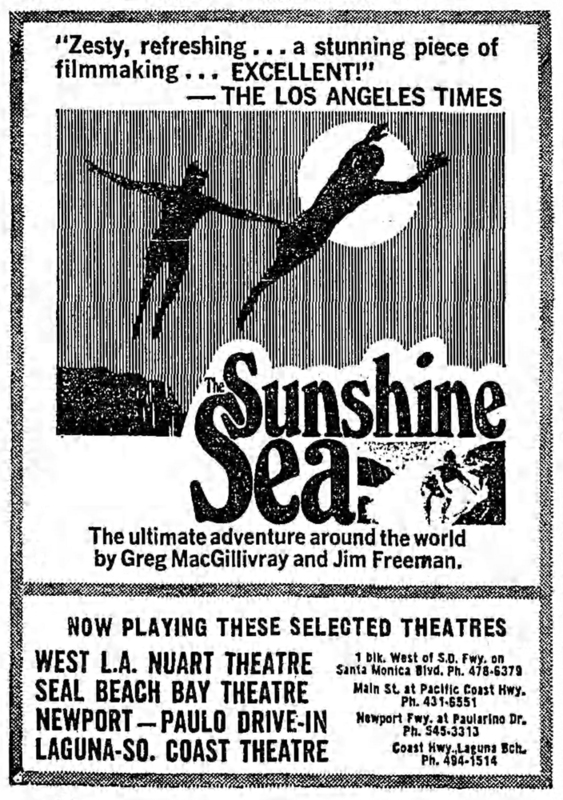 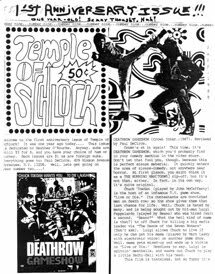 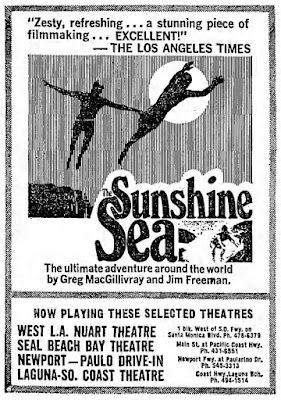 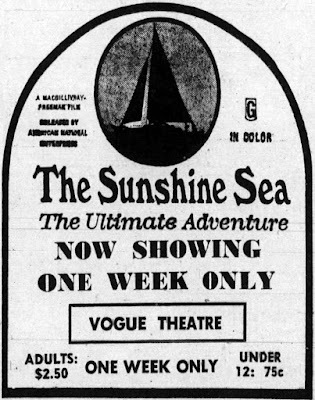 The ad above is from its Tucson, AZ opening on August 10th, 1979. 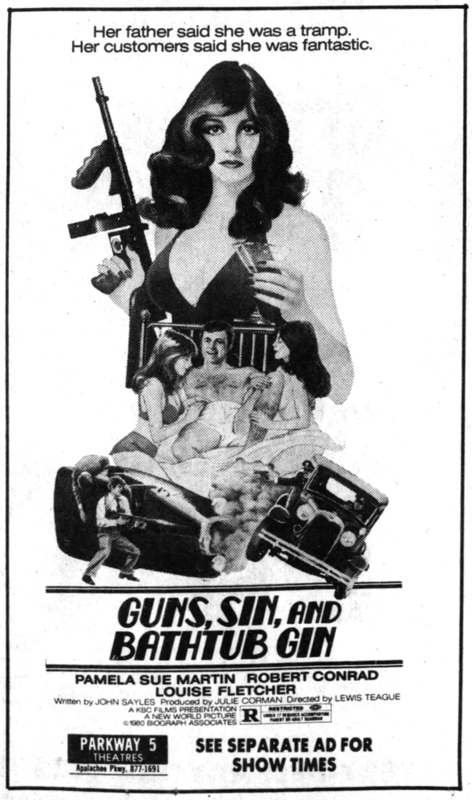 The film was not a success, so Roger Corman tried a different poster design and changed the title to GUNS, SIN, AND BATHTUB GIN (The original tag line had been "She's made of bullets, sin & bathtub gin"). 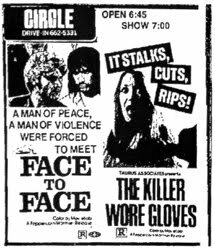 Tallahassee, Florida got it as such on February 29th, 1980. 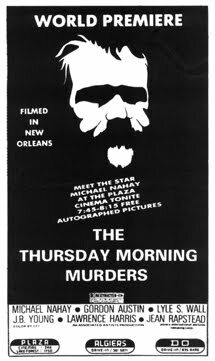 For some reason, when the film played Chicago -- where Dillinger was set up by Sage and killed outside the Biograph Theater on July 22nd, 1934 -- New World changed the title to TOUCH ME AND DIE and erased all references to Dillinger and the period setting. 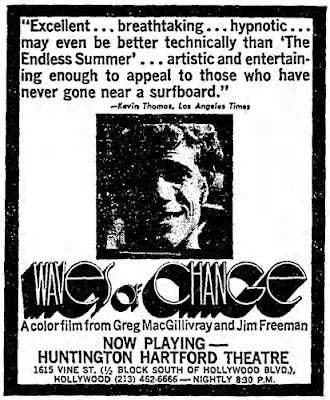 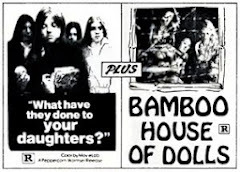 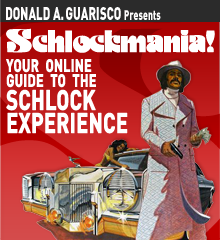 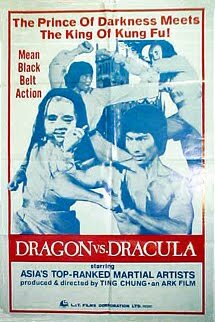 Even worse, the film was relegated to second feature status under ESCAPE FROM DEATH ROW (a shady re-release of MEAN FRANK AND CRAZY TONY) during its week-long run beginning on July 24th, 1981.